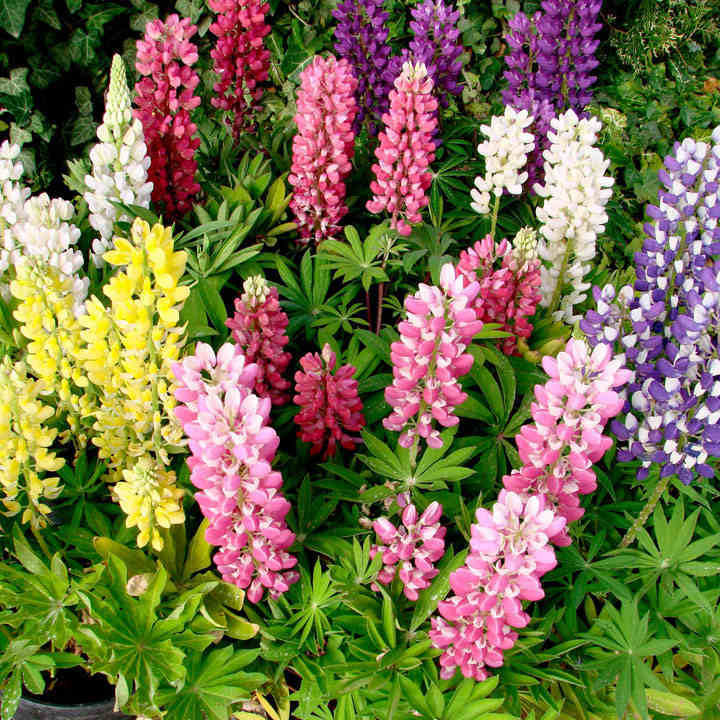 Compact, bushy plants with a basal branching growth habit that ensures they produce a profusion of impressive flower spikes, in shades of red, pink, blue and yellow together with white. 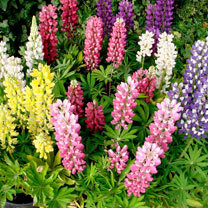 It boasts a long flowering period for a lupin, and will flower in its first year if sown early. Ideal for borders or large containers, its short stems are good for cutting too. Improved variety with compact habit. Flowers May-September. Height 40-50cm (16-20”). PLEASE NOTE: Seeds/plants harmful if eaten. A cottage garden favourite that’s ideal for borders or containers. Sow March-June under glass or outdoors for flowers May-July the following year. Sow early for first year flowering. Ideal for beds and borders, patio pots and containers. Drought resistant. Suitable for cutting. Prefers full sun or partial shade.